Formula One – MERCEDES AMG PETRONAS, Canadian GP. 8-10 June 2012. 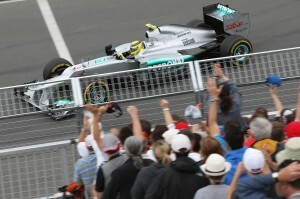 Nico Rosberg and Michael Schumacher qualified in fifth and ninth positions for the Canadian Grand Prix (Saturday, June 9, 2012).